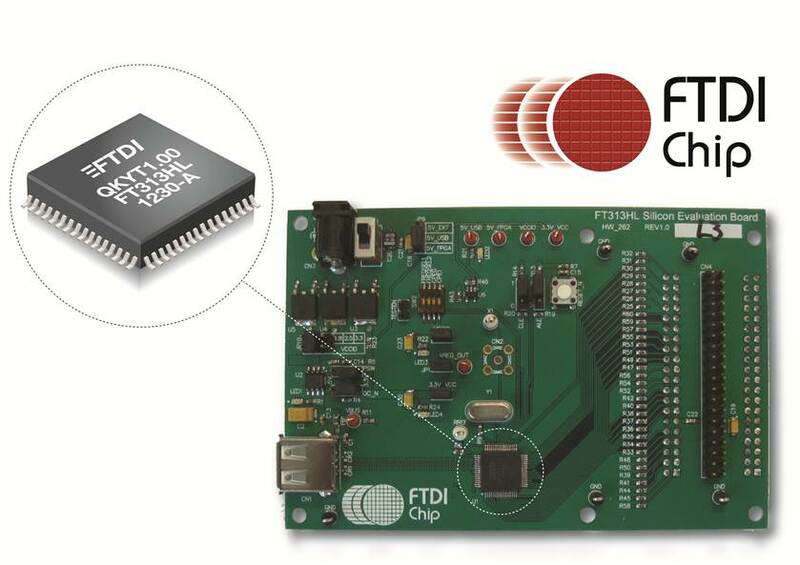 FTDI supply a range of development modules supporting prototyping and development for FTDI USB devices. The development modules come in a range of compact form factors. The development modules can be used for product integration to enable USB connectivity within existing product designs. 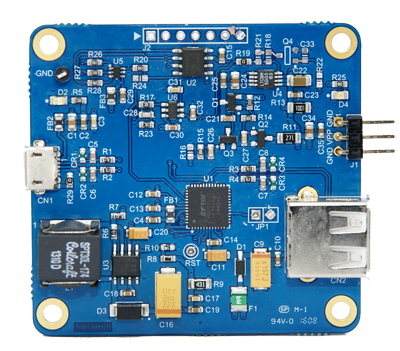 The LC231X module provides a low cost USB to UART bridge using the FT231X IC to transfer data at up to 3M Baud. Ideal for programming Arduino Pro, ESP modules etc., the pinouts follow the industry standard FTDI TTL cable interface. The module provides power and a UART interface with full modem handshaking control.. The interface IO levels may be set to either 3.3V or 5V by an on-board jumper – no soldering / de-soldering required. Also available is an accessory cable for the module, the CUB-100-BK USB2.0 A to Micro B cable. 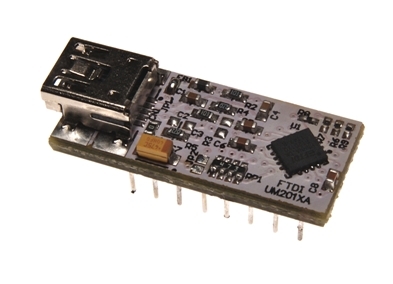 The LC234X module provides a low cost USB to UART bridge using the FT234XD IC to transfer data at up to 3M Baud. Ideal for programming Arduino Pro, ESP modules etc., the pinouts follow the industry standard FTDI TTL cable interface. The LC234X features the 4 UART signals (RXD, TXD, RTS, CTS) and like the LC231X, the option to output 5V power to external hardware. The interface IO levels may be set to either 3.3V or 5V by an on-board jumper – no soldering / de-soldering required. In 5V mode, outputs are rail to rail for maximum reliability. The UMFTPD3A Programmer Module is used to provide an external programming voltage (Vpp) that covers 1.5 to 6.5V to program FTDI development modules and ICs with internal OTP memory or eFUSE (electrical poly-fuse). The module assists the user in programming the OTP memory or eFUSE directly through a USB host controller with FTDI’s programming software tool, FT_Prog. 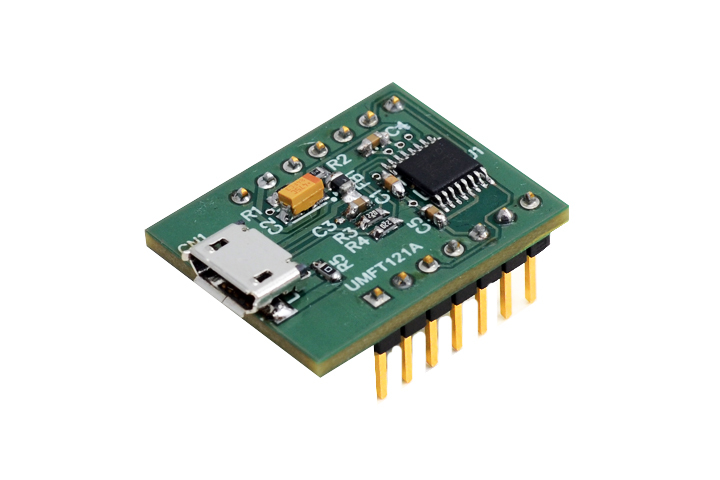 The UMFT260EV1A is a development module for FTDI’s FT260, HID-class USB to UART/I2C Bridge IC. The module is ideal for development purposes to quickly prove functionality of adding USB to a target design. 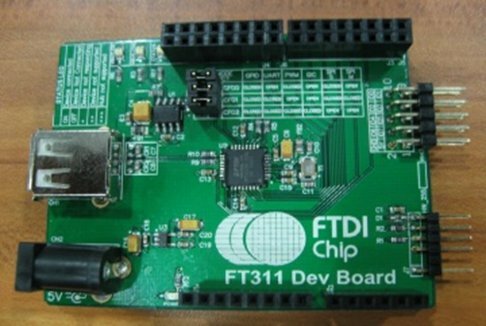 A development module for the FT4222H Hi-Speed USB2.0 to QuadSPI/I2C Bridge IC. The UMFT4222EV is supplied as a small PCB which is designed to plug into a standard 0.8” wide 24 pin DIP socket. All components used, including the FT4222H, are Pb-free (RoHS compliant). This module is used to program the OTP memory in the FT4222H ICs mounted on the UMFT4222EV evaluation modules. The OTP memory contains configuration information such as the USB Vendor ID, Product ID and Serial Number. A development module for the FT313H Hi-Speed USB Host Controller IC. A small form factor PCB to enable connecting a microcontroller to the FT313H. USB2.0 Host function to develop system firmware and prototype system functionality is described in detail. The module contains a type A USB port for connecting peripherals and may be powered with a single 5V supply. The parallel bus options are accessed via a 0.1” socket strip. The UM232H-B is a development module for FTDI’s FT232H Hi-Speed to serial/parallel interface connector. This single channel interface IC can be configured to transfer data over the following interfaces UART, FIFO, FT1248, I2C, SPI and GPIO. 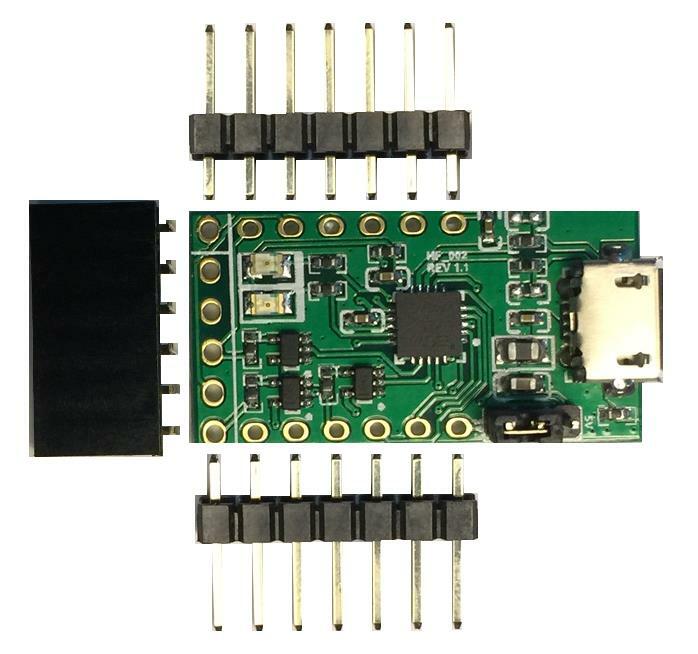 This hardware is a breakout board that converts Hi-Speed USB2.0 to a serial/parallel interface and connects the signals to a 2.00mm pitch 18pin female receptacle. 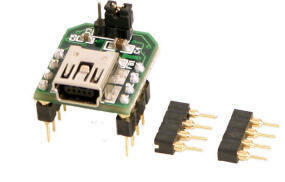 No USB connector is used, instead this module plugs directly into the USB host connector and the pads of the PCB makes electrical contact with the electrical contacts of the USB connector. The module is available in three variants; with female receptacle (UM232H-B), with no connector (UM232H-B-NC) or wire-ended (UM232H-B-WE). Complete evaluation and prototyping platform for FT12 series devices. 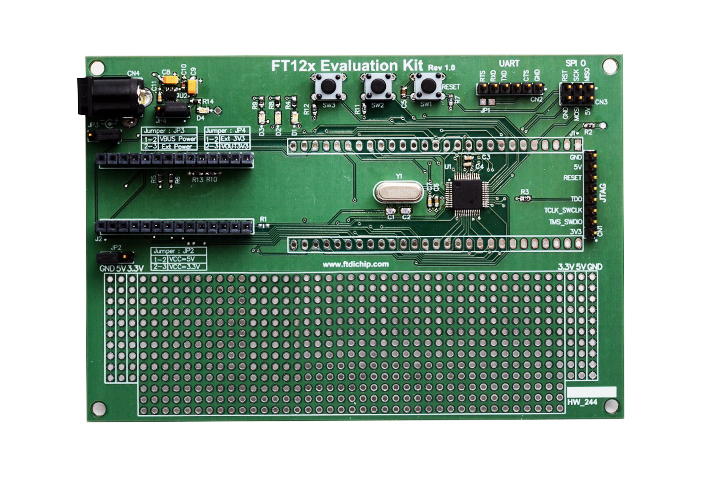 The UMFT12XEV contains an LPC1114 controller to host the FT12X daughter card to enable testing of firmware for the FT12 series devices. Each device (FT120, FT121, and FT122) has a separate daughter card to plug-in to the UMFT12XEV and a mini-B USB connector for attaching to external USB host controllers. UMFT12XEV:: Evaluation Motherboard for evualuating the FT12X devices. Note that UMFT121DC and UMFT122DC are now obsolete and is not recommended for new designs. A programmers guide is available here. Sample firmware is available here. 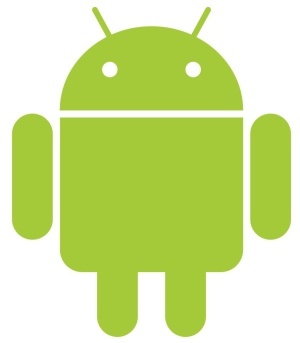 A development module for the FT311D – Android Host IC. 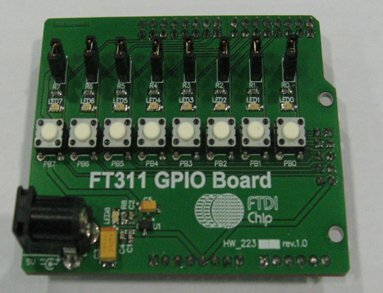 Allows for selecting each of the FT311D interfaces:- GPIO, UART, PWM, I2C Master, SPI Slave or SPI Master. PCB with 8 buttons and 8 LEDs may be plugged into a FT311D development board or used as a Vinco shield to test GPIO operation. 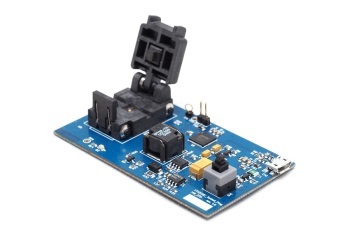 Also has power socket to accept 5V DC, allowing power for the FT311D via onboard 3V3 regulator and the Android device connected to the FT311D. Breakout modules provide the smallest and simplest development hardware for the FT-X series of devices. To reduce cost the USB interconnect is simply tracking on the PCB which plugs directly into the USB host socket. The interface connector is a standard 0.1” pitch socket. The module is ready to use when plugged in to enable instant development work to begin. Development modules are slightly larger than the breakout modules but offer access to all the FT-X device pins. The modules have a USB Mini-B connector and 0.1” pitch DIP pin for connecting the interface signals. Modules with a part number ending XA are 0.3” wide and those ending XE are 0.6” wide. Full speed USB to Full Handshake UART + Battery Charger Detection development module based on the FT231XS. 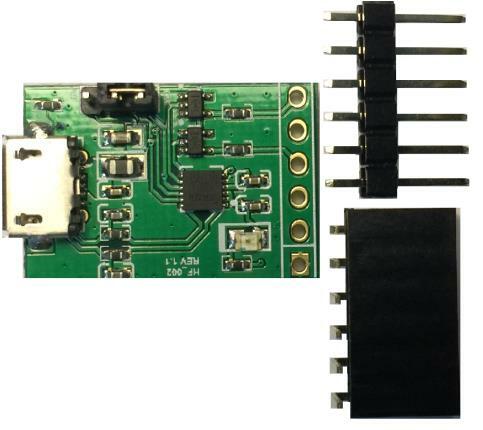 Can be used to verify the USB Dedicated Charging Port (DCP) detection capability of the FT2xxX devices as well as provide a USB to UART bridge. Additional module variant - UMFT231XC-01 (featured in UMFT231XC datasheet). 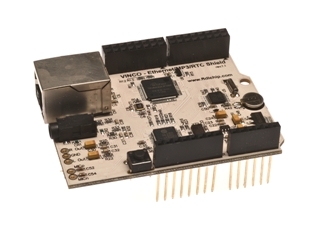 The Vinco Ethernet RTC MP3 shield is designed to connect directly to the FTDI Vinco development PCB. 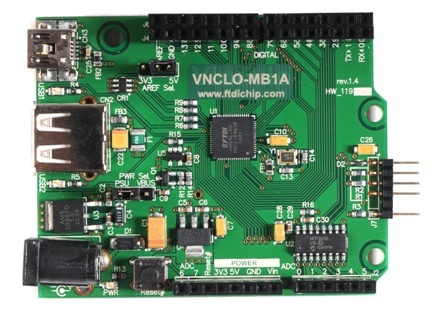 The shield will allow the Vinculum-II (VNC2) device on the Vinco PCB to access an Ethernet port which uses the Wiznet W5100 chipset, audio files using the VLSI VS1053b CODEC and access a Real Time Clock using the NXP PCF32123 device. Additional functions on the PCB include LED indications for the Ethernet status e.g. received data, transmitted data, full duplex mode and collision detection. The Ethernet function allows the VNC2 to bridge USB, UART, SPI, PWM data to a network, while the RTC may be used for time stamping files stored on USB memory sticks accessed with the Vinco baseboard. The audio codec may be used to decode MP3 audio files for playback on the 3.5mm headphone socket. These 3 functions are accessed via the VNC2 SPI Master mode and libraries to support the function are available for free with the VNC2 Toolchain. Note that this product is now obsolete and is not recommended for new designs. 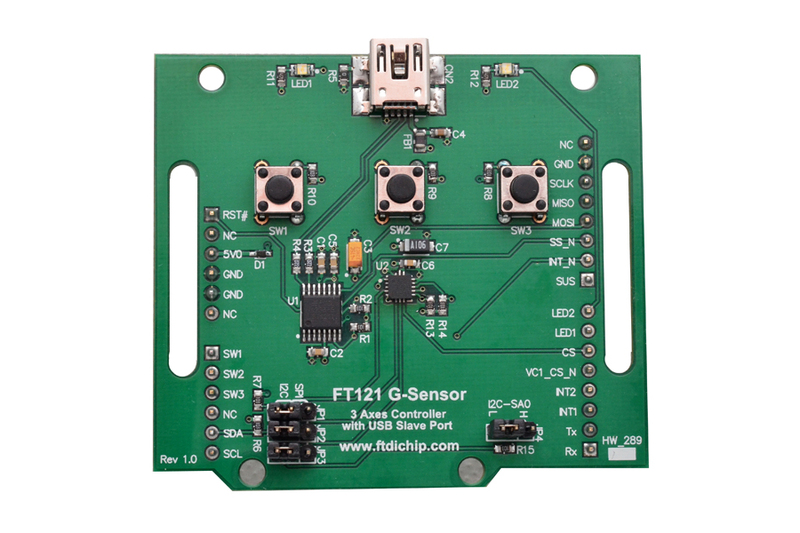 The FT121 G-Sensor shield is designed to connect directly to an Arduino Pro development board. The shield allows the micro-controller on the Arduino Pro to access the FT121 USB device controller.Using the FTDI FT121 chipset and a three axes linear accelerometer (ST LIS331DLH) device, the module may be used to implement a USB HID game controller. The user may also define other interesting applications from the micro-controller board. The Arduino Pro is a micro-controller board based on the ATmega168 or ATmega328 and is not available from FTDI. Vinco is a cost effective Vinculum-II (VNC2) development platform inspired by Arduino. The Vinco is a dual channel USB Host/Device Controller is targeted at rapid development and prototyping of USB Host/Device interfaces. Vinco is a superset of the Arduino Duemilanove / Uno with 2 extra rows of headers providing an extra 10 pins and can be programmed using a subset of standard ANSII ‘C’ using the FTDI free of charge software development environment, consisting of development tools, software drivers and libraries. 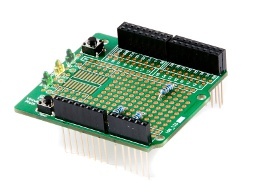 An optional Vinco prototyping board provides add-on expansion board support. The Vinco features an 8-channel, 10Bit ADC, PWM interface and supports connectivity to a wide range of application boards developed by the Arduino open-source community. These include Ethernet, motor control, LCD and many others applications. Note that a debugger/programmer module is required to program the Vinco. 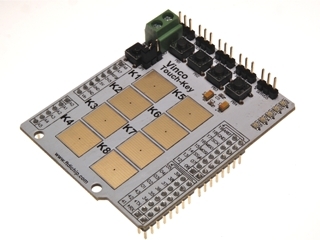 Vinco Shield is a prototyping board for interfacing additional custom circuitry to the Vinco motherboard. In addition to bringing out all connections of the Vinco motherboard, there are three undedicated LEDs and two switches (one dedicated to Reset). The Vinco Touch-Key is a shield that mates with the FTDI Vinco development module to allow touch pad operation. The shield includes an STMPE821 device, which is an 8-channel GPIO capacitive touch-key sensor. The sensor communicates to the Vinculum-II (VNC2) (on the Vinco module) via I2C protocol. Additionally there are 4 push buttons and 5 LEDs which may manipulated by the VICNO baseboard. 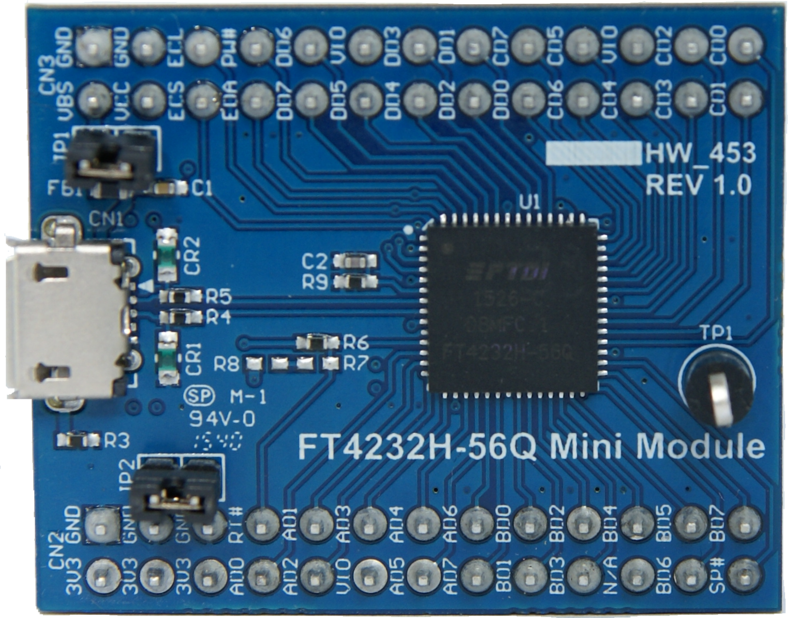 The FT4232H USB serial/hub module was designed to connect to FTDI’s V2DIPx modules, as well as any USB Host interface (e.g. PC) to expand the number of interfaces that can be accessed downstream from a Host. 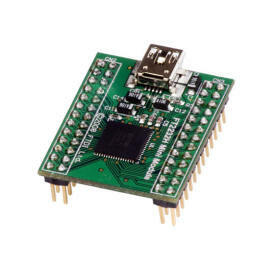 The module has an FTDI FT4232H USB 2.0 Hi-Speed to UART/MPSSE chip which supports data rates of 40Mb/s and takes care of all USB signaling and protocols. It also features a GL850G USB 2.0 hub controller chip, the functions of which can be customized. The Morph-IC-II is a USB based FPGA development module featuring the Altera Cyclone-II FPGA with the FTDI FT2232H USB to UART/FIFO/MPSSE converter IC. The module provides integration of Hi-Speed USB capability (480Mbit/s) with an FPGA, to enable ultra-fast software based FPGA configuration/reconfiguration and communication using the FTDI royalty free drivers. Powerful silicon development platform. Software re-configurability allows users to support multiple functions within a single silicon platform. High performance, low power Altera Cyclone-II EP2C5F256C8N FPGA device. 4,608 embedded FPGA Logic Elements (about 80,000 Gates typically). 26 M4K RAM blocks (119Kbits), 13 embedded multipliers and Nios II embedded processor support. 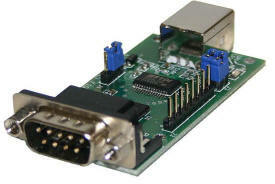 Supports FPGA-PC USB Data transfers at up to 40MBytes/s. Supports ultra-fast software based configuration/reconfiguration of FPGA (less than 100ms). Range of flexible for FPGA communication interfaces, including FIFO interface, and MPSSE configurable serial controller interface providing support for SPI and I2C and other serial protocols. Compact module features up to 124 x 0.1” pitch headers providing access to 96 I/Os on the FPGA and FT2232H module. 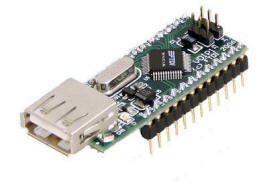 Onboard USB type B connector provides connection to a PC, supporting software communication via FTDI VCP and D2XX API drivers. The D2XX API supports communication via C/C++ as well as other software languages. Onboard JTAG port connector for FPGA boundary scan, test and configuration. JTAG interface also accessible via module header pins. Module is supplied with VHDL reference designs, software samples and utilities. FPGA programming supported by free Quartus II Web Edition Software from Altera. Wide range of VLSI logic circuit design applications including ASIC prototyping, FPGA design for glue-logic or IP development. The wide range resources including FPGA reference designs, software utilities and samples also makes the module ideal as a low-cost educational platform. The FT2232H Mini Module is a USB to dual channel serial/MPSSE/FIFO interface converter module based on the FT2232H USB Hi-Speed IC. The FT2232H handles all the USB signalling and protocol handling. 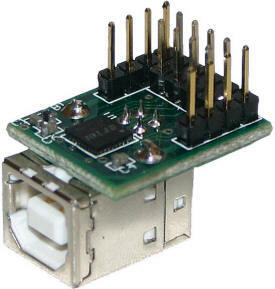 The module provides access to device I/O interfaces via 2 double row 0.1" pitch male connectors. The module is ideal for development purposes to quickly prove functionality of adding USB to a target design. 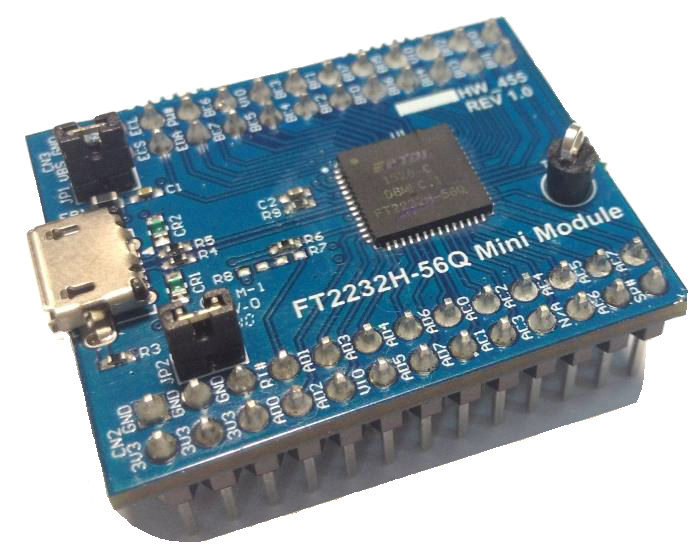 The FT2232H-56Q Mini Module is a USB-serial/FIFO development module in the FTDI product range which utilizes the FT2232H-56Q USB Hi-Speed dual-port bridge chip which handles all the USB signalling and protocols. It is ideal for development purposes to quickly prove functionality of adding USB to a target design. The FT4232H Mini Module is a USB-to-serial/MPSSE interface converter module based on the FT4232H IC. The FT4232H bridge chip supports USB Hi-Speed transfers and handles all the USB protocol. The development module provides access to the quad channel serial / MPSSE converter interfaces via a set of 2 double row 0.1" pitch male connectors. It is ideal for development purposes to quickly prove functionality of adding USB to a target design. TThe FT4232H Mini Module is a USB-serial/FIFO development module in the FTDI product range which utilizes the FT4232H USB Hi-Speed four-port bridge chip which handles all the USB signalling and protocols. It is ideal for development purposes to quickly prove functionality of adding USB to a target design. Complete evaluation and prototyping platform for VNC2. The board features a VNC2 daughterboard site for connecting 32,48 and 64-pin VNC2 daughterboards. 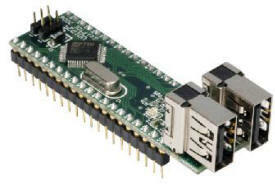 The board features USB connectors, I/O headers providing access to major VNC2 interfaces as well as a generous breadboard style prototyping area. The V2-EVAL is supplied as a kit together with power supply, USB cable and USB gender changer. V2-EVAL: V2-EVAL kit with base board, power supply and cables (Daughterboard required). Note that V2DIP2-64 is now obsolete and is not recommended for new designs. VNC2 based development modules with single USB connector. The modules are targeted for prototyping with the VNC2 and for application integration to enable USB capability within a finished product design (NOTE: Requires a VNC2 Debugger/Programmer Module for initial programming & downloading of firmware). Note that the corresponding 64 pin variant IC to this product is now obsolete and is not recommended for new designs. Other packages are not affected. If there is any demand, please send in your enquiry for special support consideration. For more information, please click here to contact us. VNC2 based development modules with two USB connectors. The modules are targeted for prototyping with the VNC2 and for application integration to enable USB capability within a finished product design (NOTE: Requires a VNC2 Debugger/Programmer Module for initial programming & downloading of firmware). 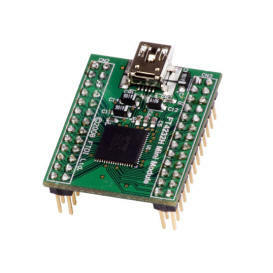 The VNC2 debugger/programmer module consists of a miniature board with a USB miniB connector, which provides USB connectivity to Vinculum-II IDE development tools running on a PC. This module can be used to program and debug firmware running on the VNC2 device. The V-Eval Kit is a hardware platform that designers can use to develop embedded USB Host / Slave applications based on FTDI’s VNC1L devices. Designers can program the VNC1L with a range of USB firmwares supporting a range of USB applications. 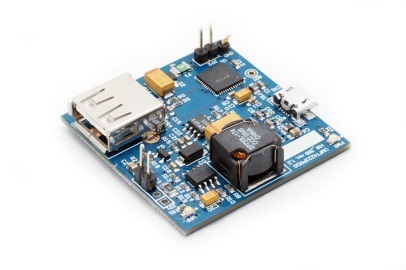 The board comes with the V-Eval software designed to provide board communication and control functions such as UART terminal emulation capabilities supporting application development and debug. 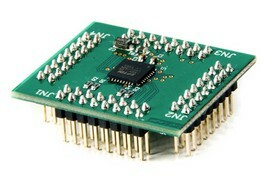 The VDIP1 module is single USB connector based development module for the VNC1L device. The module is targetted for MCU to USB Host / Slave interface applications. The VDIP1 is compact module designed to fit a 24-pin DIP socket. The socket I/O pins provide access to the UART, SPI and FIFO interface pins of the VNC1L device. 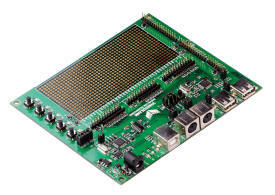 The module is ideal for rapid prototyping and development of VNC1L designs, an attractive quantity discount structure also makes this module suitable for incorporation into low/medium volume finished product designs. 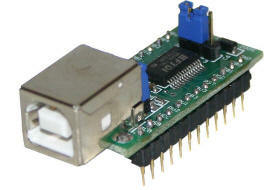 The VDIP2 module is a compact development module for the VNC1L based on 2 USB connectors. 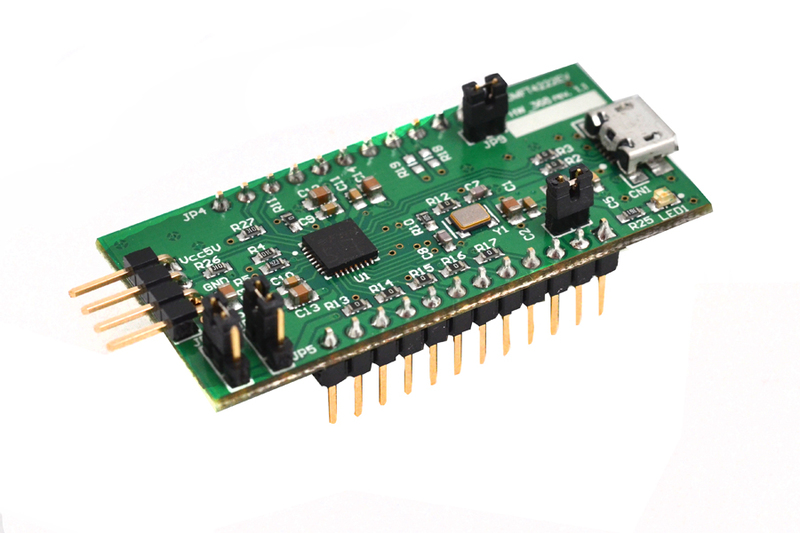 The module is targeted for MCU to embedded USB Host / Slave controller interface development using the VNC1L IC device. 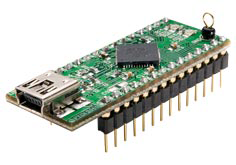 The VDIP2 module features a 40 pin DIP socket interface providing access to the UART, parallel FIFO, and SPI interface pins on the VNC1L device. 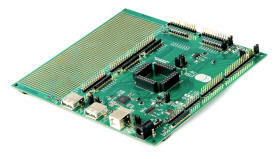 The VDIP2 is an ideal platform for prototyping and the development of VNC1L designs. Attractive quantity discounts on the VDIP2 makes this module suitable for incorporation into low and medium volume finished product designs. 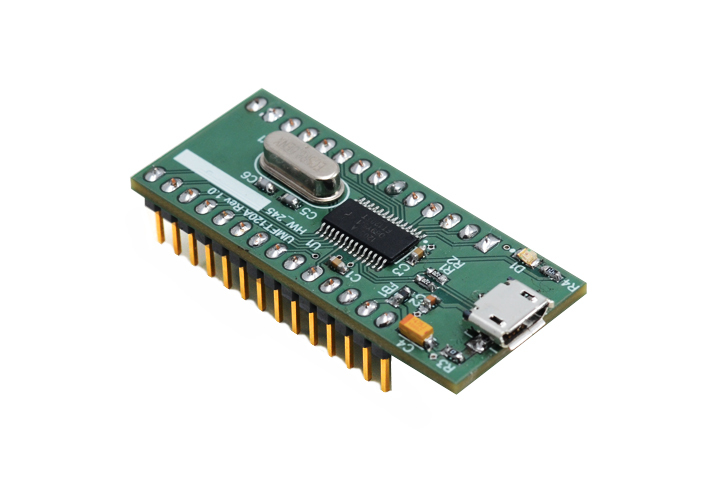 The UM232R module is a USB - Serial UART (TTL) development module for the FT232R IC device. The module supports USB to UART interfacing at 5V / 3V TTL levels. Voltage levels are set via onboard jumpers. I/O headers available to provide access to all UART and CBUS interface pins of the FT232R device. The UM232R can be configured as either USB bus-powered or self-powered modes. Full hardware handshaking is supported. The UM232R can supports communication at up to 3MBaud at TTL/CMOS levels. The UM232R plugs into a standard 24-pin 0.6in wide DIP socket. The UM245R module is a USB - Parallel FIFO interface (TTL) development module for the FT245R IC device. The compact module, is designed to fit a 24 pin DIP socket which provides access to all FIFO interface and control pins (TXE#, RXF#, RD#, WR) on the FT245R device. The UM245R can be configured as either USB bus-powered or self-powered and also supports 5V or 3V level interface. Voltage levels set via onboard jumpers. The UM245R supports data transfers at up to 1 MegaByte per second. The UM245R plugs into a standard 24-pin 0.6in wide DIP socket. The MM232R is a mini development module for the FT232RQ IC device. 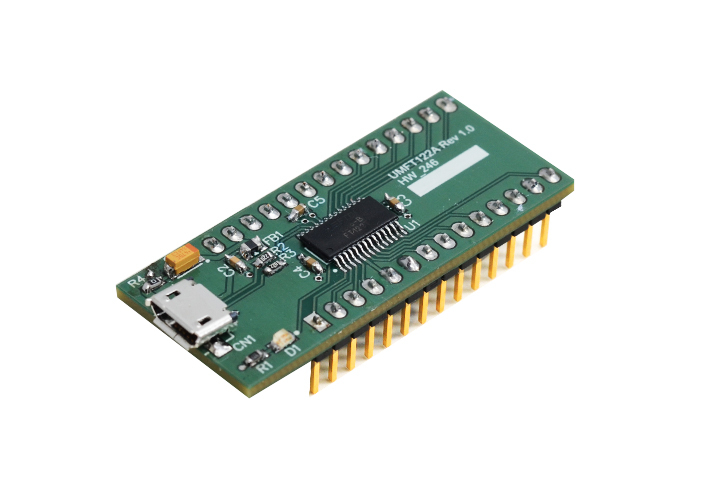 The module provides a USB to serial UART development interface in a small form factor. The module is ideal for USB interface development can also be used for integrating USB interfaces to existing product designs. Based on the FT232RQ device, the MM232R module supports RTS/CTS hardware handshaking and is powered from the USB port. The module supports serial data communication at up to 3MBaud at TTL levels. The module also features I/O header pins for the EEPROM configurable CBUS pins from the FT232R. Two 1x4, and one 2x4 board headers with a standard 0.1"" pitch are supplied with the MM232R for rapid prototyping and development. 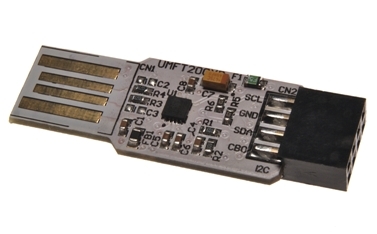 The UB232R is the smallest USB - serial module in the FTDI product range. To minimise the size of the module, the UB232R uses a standard USB mini-B connector. It is ideal for new development purposes and also for adding a USB interface to existing product designs. Based on the FT232RQ device, the UB232R supports RTS/CTS hardware handshaking and is powered from the USB port. Serial data communication is possible at up to 3MBaud at TTL level. In addition, two of the EEPROM configurable CBUS pins of the FT232R are brought out allowing the UB232R to be used to provide clock signals to external logic or signal traffic indicator LEDs. Two 1x4 turned pin board headers with a standard 0.1" pitch are supplied with the UB232R to allow for rapid prototyping and development. The EVAL232R is a USB to RS232 converter module based on the FT232RL IC. 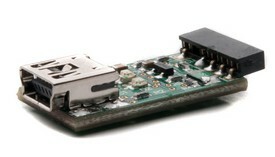 The module features both a USB type B connector and an RS232 based DB9 connector interface. The FT232RL device is used to provide the USB to serial UART interface conversion. An onboard level shifter is used to provide RS232 signal levels. Additional header pins on the board provide access to the FT232RL device's configurable CBUS interface pins on the FT232RQ. The module is powered from the USB interface with 5V and 3V I/O interfacing supported on the CBUS I/O pins. The DB9 RS232 interface supports full RTS/CTS flow control, and DTR/DSR hardware handshaking. DCD and RI signals are also available. RS232 communication is possible at up to 250kBaud. LEDs are fitted to indicate traffic activity.